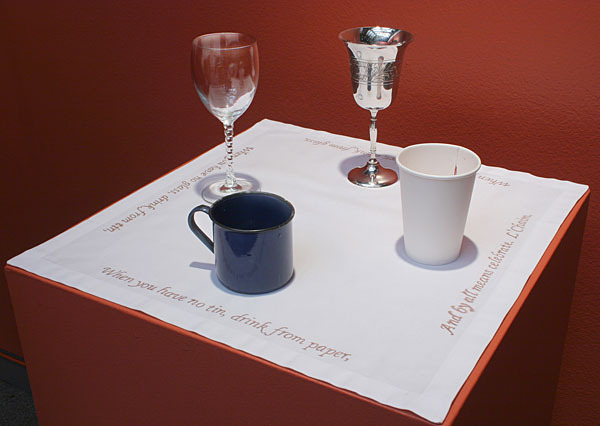 To honor the commandment of reciting kiddush, an elegant silver goblet is often used to bless the Sabbath with wine. In Jewish life, wine is a symbol for joy and even when times are hard, we celebrate and sanctify life itself. When you have no silver, drink from glass. When you have you glass, drink from tin. When you have no tin, drink from paper. And by all means, celebrate. L’Chaim.